Ultra-fast 5G wireless is going to change the world... eventually. It won't just disrupt the mobile ISP business, but home internet as well. 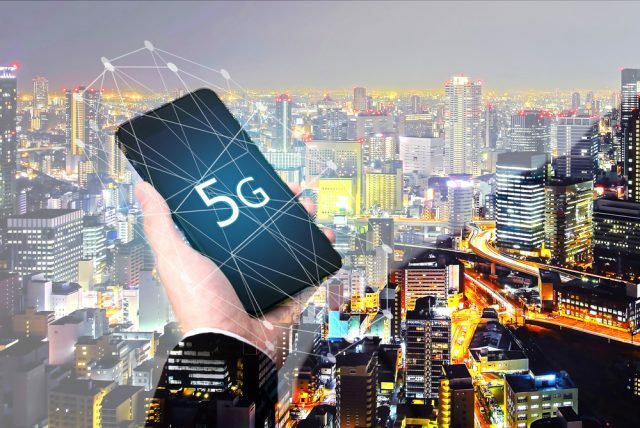 Throughout 2019, I fully expect consumers to be bombarded with 5G marketing that will sell it as the next big thing. And yes, the new standard will be pretty great, but it is not yet necessary. You see, the 5G infrastructure is not yet ubiquitous, and it won't be for a long while. So while there will probably be Android phones with high-speed 5G modems in 2019, owners largely won't have any way to take advantage of it. According to a new report from Fast Company, Apple will be sitting out the 2019 5G shenanigans, instead waiting for at least 2020 to launch the iPhone 5G. You know what? That is very wise. The fruit-logo company is seemingly opting to wait until 5G is worthwhile and not merely a marketing tool. I am sure you are wondering, what would the harm be of including a 5G modem in an iPhone in 2019? In other words, is there a downside to having such a modem in the phone even if consumers can't really use it? Well, yes. For one, it adds cost to the manufacturing process, and let's be honest, the last thing we need is for Apple to have another reason to increase iPhone sales prices -- the flagship models are already obscenely overpriced. More importantly, early 5G modems will likely be huge battery drains, cause massive heat increases, and potentially, be buggy as hell. It is smart to sit on the sidelines and monitor the situation on Android before introducing such a thing to iPhone owners. Let LG and Samsung buyers be guinea pigs! Case in point, according to the Fast Company report, the Intel 5G modems Apple plans to use are simply not yet up to snuff. The modem currently gets way too hot. Hopefully Intel can produce cooler modem hardware by 2020 that meets Apple's demanding expectations. Am I excited for 5G? Very much so. As an iPhone user, am I sad that I won't have an Apple smartphone with such a modem in 2019? Hell no. Quite frankly, even if Apple waits until 2021 to add 5G to iPhone and iPad, its probably wouldn't matter. Let the Android user have their bragging rights in 2019, because that is all it will really be... bragging rights. I'd much rather OS upgrades, personally.